How many years has this old concrete tipi been kicking around the town of Browning, anyway? 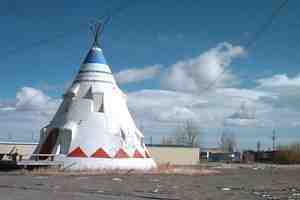 I can remember when it used to house "The Teepee Cafe" or some such business. Anyway, what would Browning be without it?